Do you crave deep conversations on race, education, and culture? Is reading The Highlighter newsletter every Thursday not enough for you? Talented writers and loyal readers chat with Editor in Chief Mark Isero about the best articles of the week. 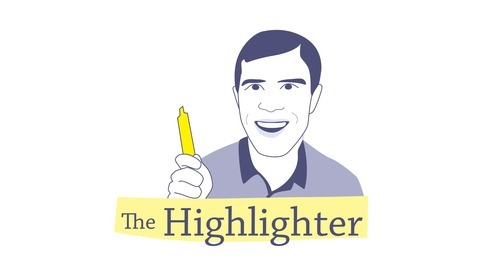 Subscribe to the newsletter: highlighter.cc/subscribe Want to ask a question, share your thoughts, or be on the show? Email Mark at mark@highlighter.cc or leave a voicemail at (415) 886-7475. Become a supporter of this podcast: https://anchor.fm/highlightercc/support. When I featured “79” as one of last year’s best three articles (see Issue #173), naturally I wanted to speak to author Brian Broome. He graciously accepted the invitation, and I’m honored to present our conversation to you, loyal Highlighter Podcast listeners! In the interview, Brian talks about how he became a writer in rehab, how the first piece of writing he submitted got published, and how “79” began as a rant against white supremacy. We also explore the effects of capitalism and white supremacy on Black people and the perils of respectability politics. If you haven’t read “79” yet, do so now! and then come back to listen to our conversation. Also, you’ll want to check out more of Mr. Broome’s writing, so head on over to brianbroome.com. As always, I’d love to hear your thoughts about this episode. 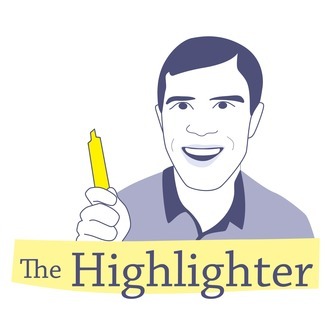 Email me at mark@highlighter.cc or leave a voicemail at (415) 886-7475. If you’re valuing this podcast, please write a review at Apple Podcasts. Thank you very much for listening!